Rimmel Wake Me Up foundation is perfect for the girls who would rather spend a extra hour in bed then spend hours on their makeup in the morning. Stored in a glass bottle, it has perky bright orange packaging that gives off connotations of bright, sunny mornings when you bound out to work, your face a'glowing. I can be a bit wary of foundations that look a bit dark in the container, despite the shade, as I have been left various shades of orange many times. 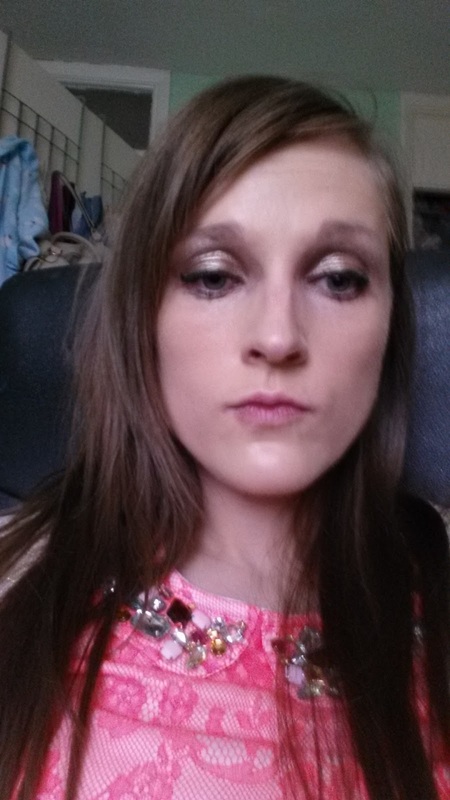 However despite looking conspicuously darker then my skin tone I found that the foundation blended in quite well. 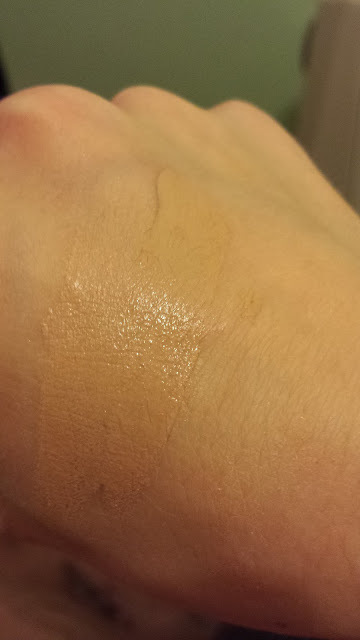 The consistency is very creamy and one to two blobs is more then enough to cover your whole face. 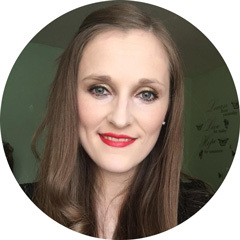 The product aims to give you a dewy, glowing complexion and the product did feel light on my skin and left a notable dewy accent. The majority of my face from my eyes to my chin looked matte but the area where my skin can be the most oiliest the t-zone was a bit uneven. 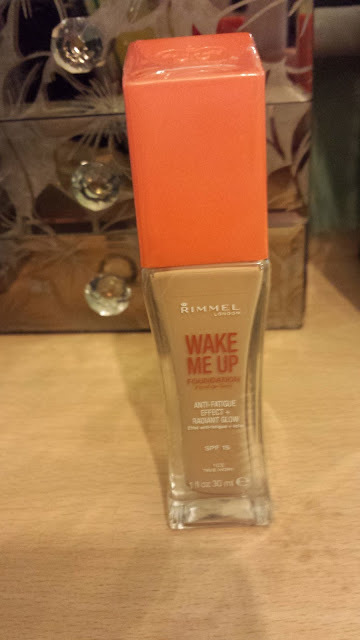 As you're probably aware Rimmel's Wake Me Up foundation is designed to make your face glow, so if you do have oily skin it's probably not the best product for you. A lovely little product that gives a dewy glow but offers full coverage at the same time. 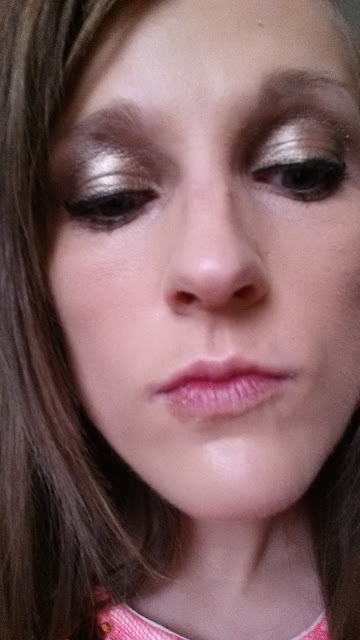 Welcome to Glitz and Glamour Makeup. Here you'll find the latest makeup reviews, beauty guides, tutorials, shopping hauls and lots more! Kathy Cakebread. Powered by Blogger. If you're a hopeless romantic this hilarious romantic comedy will keep you engrossed for hours. Check it out!